The AMC miniseries, Making of the Mob: New York is taking over late-night television for the next couple of weeks- highlighting the history of the American Mob. 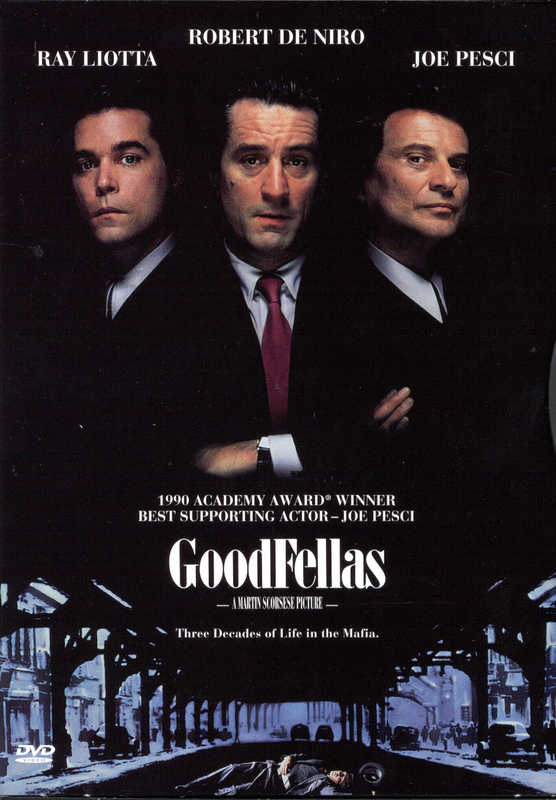 Movies like Goodfellas and Donnie Brasco, mixed with The Sopranos, and other guilty pleasures such as Vh1’s Mob Wives and previously high-rated exploits like Growing Up Gotti have always generated huge interest referencing the affects that the mafia has had on pop culture. Making of the Mob: New York is an eight-part docudrama chronicling the rise of successors like Carlo Gambino , John Gotti, “Lucky” Luciano, Frank Costello and many more who have inspired countless hit films and TV stories- often times glamourizing the reality behind the myths and every generation’s fascination with the major head bosses of the most infamous crime families. The authenticity of the American mob begins with the immigrants who had migrated through Ellis Island between 1899-1910. Millions of southern Italians fled poverty from their homes only to arrive in the United States with faith and promise for a better life filled with opportunity. The hardships of the era revolved around providing the necessities for loved ones, as immigrants single handedly began building up a nation forcing them into unforeseen circumstances. New York City developed a “Gangland” of its own caliber as it symbolizes the official birthplace of the mafia. These so called wise-guys shook down store owners and collected payouts from the weaker, blue-collar workers. Naturally, as evolution often shows, leaders prevailed with their cut-throat attitudes and mentalities, separating themselves from the rest of the pack. These boys plotted, gambled, ate, killed and were killed. That was the only life they knew thus far. Gang related incidents became more prevalent among the crowded, newly paved roads and so generated a cultural divide. “The mob is an outstanding example of deviant behavior,” suggests clinical and political psychologist, Dr. Bart Rossi. Dynamic capability exuded by the leaders associated the use of intimidation, classic con man, and strong sociopathic skills in order to rule each thriving assembly. For this reason, chartering and stabilizing trust was especially tricky and a very risky endeavor. On the other end of the spectrum, experts like Dr. Rossi explore how the convincing subordinates use denial, repression, or sublimation. Bosses needed to be extremely cunning and master manipulators to make it all function accordingly. Stress and anxiety levels involved in the duality of the precesdence were also very intense and complex as most men channeling advanced direction moonlighted as hard-working family men. From a psychological stand point, “How did they deal with the internal conflicts around murder, fraud, cheating, lies and fabrications?” questions Rossi. Were the head honchos really just insecure front men trapped in the wrong lifestyle? -And no, this is not a rip-off of the plot of the beloved Analyze This franchise, just a certified perspective. As the docu-series makes evidently clear, discussing the role of the US government playing out its failed pursuit for an experiment known as prohibition, attributes to the ultimate, well-organized creation of the American mob. This disastrous attempt at controlling the mass public and depriving them of their right to liquor consumption only resulted in rebellion. By infringing on the recreation of the struggling American people in order to prevent ongoing bad behavior, ironically had back-fired. What was initially an issue of monitoring morality turned into a lucrative business racket. The strategy, established through the ideas behind prohibition, helped to transform common street thugs into vast multi-million dollar empires. Perhaps one of the most interesting aspects analyzed by Dr. Rossi would be with their consistent prowess and marked personality disorders, conceivably what each man would have been able to achieve had he lived a straight life and built a legalized, and real business of value. Thomas La Vecchia, president of X Factor Media, and self-proclaimed mafia trivia buff, also resourced evidence signaling similar to, or the exact qualities among today’s CEOs and A-Players, which drive his credible media train. These affirmed traits represent the force behind wealth and fortune. After all, mobsters are one of the first truly effective, profitable, and high-income entrepreneurs in the traditional sense of the word! However, secrets revealed that tides turned quickly as more savage, bloodshed became a part of the deal. These top-tier “mafiosos” became NYC street assassins as they exterminated anyone who stood in their way from the root of all evil or paid off the so-called good-guys to stay quiet. An entire lifestyle emerged from the pitfalls of the structure of the depression and the potential levels of financial prosperity proved possible through connection or being a “made man”. With this authority came great responsibility as a very specific code of ethics continued to be carried out. However, after a few decades of silent success, the American mafia revamped as a caricature of the very principles it was founded under. Heads inflated and a media sensation ensued. Seemingly invincible chief commanders managed to turn a reigning power based on hierarchy into a circus- a facade. The mighty commissioners were tempting jurisdiction with their newfound fame. Supreme administrators from influential and pristine families began to get “pinched” and “ratted out” to the federal agents who had been eagerly awaiting a breach that allowed threatening prosecution and a final demise. As most accredited downfalls often illustrate greed and ego to be top contributors, with a number of other factors cementing their historical fate. The images of the modern day mobster no longer reflect the spirits of the past, but that does not mean their imprint was not left in the streets of today’s concrete jungle- Manhattan. From the New York Times bestselling author of Blood and Honor and The Last Gangster—“one of the most respected crime reporters in the country” (60 Minutes)—comes the sure to be headline-making inside story of the Gotti and Gambino families, told from the unique viewpoint of notorious mob hit-man John Alite, a close associate of Junior Gotti who later testified against him. 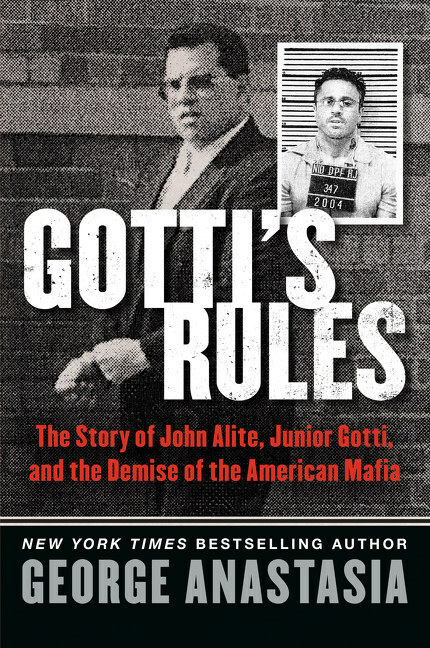 In Gotti’s Rules, George Anastasia, a prize-winning reporter who spent over thirty years covering crime, offers a shocking and very rare glimpse into the Gotti family, witnessed up-close from former family insider John Alite, John Gotti Jr.’s longtime friend and protector. Until now, no one has given up the kind of personal details about the Gottis—including the legendary “Gotti Rules” of leadership—that Anastasia exposes here.